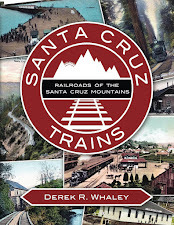 The Pajaro Valley Consolidated Railroad was one of the first private narrow-gauged railroading operations that sprang up in Santa Cruz County after the completion of the major Southern Pacific Railroad lines. 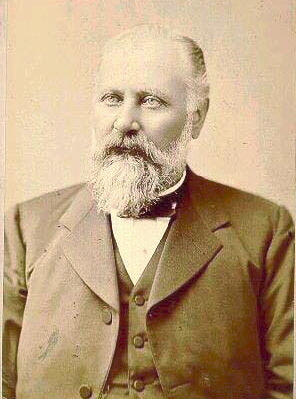 It was largely financed by Claus Spreckels with the single-minded goal of connecting his sugar beet refinery outside of downtown Watsonville with his single largest market: the burgeoning town of Salinas. 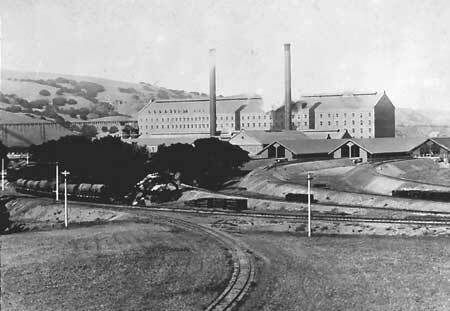 Speckels had built his Western Beet Sugar Company refinery in 1888 along tracks that serviced the Southern Pacific Railroad. Unfortunately, the difficulty and high cost of growing sugar beets dissuaded many local farmers from growing it. The best soils for beets were along the marshy coastlands, and the Southern Pacific Railroad bypassed this area entirely. In 1889, Spreckels leased the entire Moro Cojo Ranch north of Castroville and planted 1,500 acres of beets. But, although this property was on the railroad line, the Southern Pacific was charging top dollar for Spreckels to shuttle his crop to Watsonville. In response, Spreckels founded on December 30, 1889, the Pajaro Valley Railroad. While this may have been a bluff initially, the Southern Pacific did not bite, so by May construction was under way. 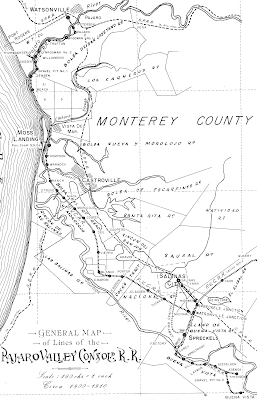 Built using primarily Chinese and Japanese labour, this railroad departed from the Watsonville beet refinery, crossed Beach Road and the Pajaro River, and then passed into Monterey County, where it looped down to the coast and followed the outside edge of many of Spreckels' contract beet farms. A long spur terminated atop Moss Landing wharf, which Spreckels used to export his finished goods on Oceanic Steamship Company and Pacific Coast Steamship Company vessels. The main track ended at Spreckels Moro Cojo farm after crossing over the offending Southern Pacific mainline track. Via this narrow-gauged network, the Pajaro Valley Railroad both imported unprocessed goods in to the refinery and exported them out to market, thereby undermining attempts by the Southern Pacific to price gouge Spreckels. This track was finished in September 1890, just in time for the Autumn beet harvest. By August 1891, Spreckels had extended his track a further nine miles to a point just outside of Salinas, called "Watsonville Junction". His low prices and easier accessibility forced the Southern Pacific to cut its freight costs by 50% just to attract new customers. At the same time, the company opened passenger service, further cutting into Southern Pacific profits. In 1895, Spreckels purchased a large property south of Salinas and built there a much larger beet mill than his Watsonville refinery. As construction was underway, Southern Pacific negotiated with Spreckels and had a three-mile spur extended to the new refinery, named "Spreckels" on timetables, which opened in October 1898. But Claus Spreckels did not allow this new arrangement get in the way of his own railroad. On April 16, 1897, the Pajaro Extension Railway connected the end-of-track at Watsonville Junction to the new mill and also extended a track east of Salinas to a lime quarry in Alisal Canyon. On December 9, 1897, the Extension Railway and Pajaro Valley Railroad were merged to form the Pajaro Valley Consolidated Railroad. The importance of the Watsonville factory declined rapidly over the next few years. It became a storage facility around 1900 and then was abandoned completely by 1908. Nonetheless, a turntable and engine house at the Watsonville site remained in place until the closure of the line, and the route between Spreckels and Watsonville continued to cater to local sugar beet farmers and was used frequently. Meanwhile, on the south side of the route, Claus Spreckels threatened the Southern Pacific again with a massive extension track up the Salinas Valley, but Southern Pacific lowered its rates once again and Spreckels satisfied himself by extending tracks only five miles up the valley to Buena Vista in December 1901, and this was largely to cater to some private beet farms in the area. 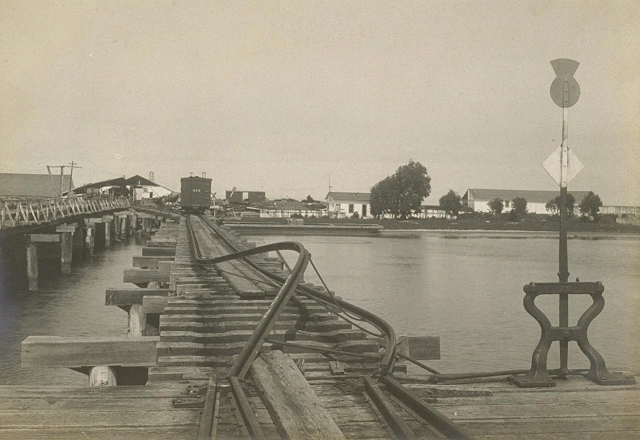 At around the same time, a short track was finally extended directly to the Southern Pacific freight yard in downtown Salinas, which greatly expanded the passenger potential of the narrow-gauged line. By 1915, the railroad owned and operated 41.5 miles of track largely within Monterey County. It owned nine locomotives, six passenger cars, 260 freight cars, and other rolling stock. Its record year was 1917 when it carried 174,480 tons of freight, and in 1919 it carried 158,871 passengers along some portion of its line. Things began to fall apart around 1920. Spreckels' sugar beet company began using trucks and buses beginning in the early 1920s, which cut into freight revenues. 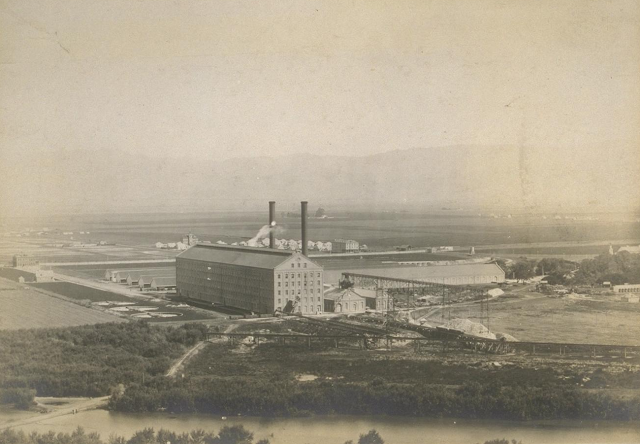 At the same time, the Southern Pacific Railroad, which with its standard-gauge trains could haul significantly more freight per car and which had years earlier extended a branch to the Salinas refinery, became an increasingly alluring prospect for exporting finished sugar products. On November 24, 1925, regular passenger service along the Pajaro Valley Consolidated Railroad came to an end. Freight services had been in decline for years, prompting the company to finally petition the Interstate Commerce Commission for abandonment in June 1928. The petition was approved and on April 2, 1929, the railroad closed for good. Approximately 40 miles of track as well as rolling stock and various structures were sold to the Southern Pacific Railroad in a clearance sale for $10.00 cash. Over the next two years, Southern Pacific scrapped the entire line and resold what they could, finally selling the locomotives in 1935. 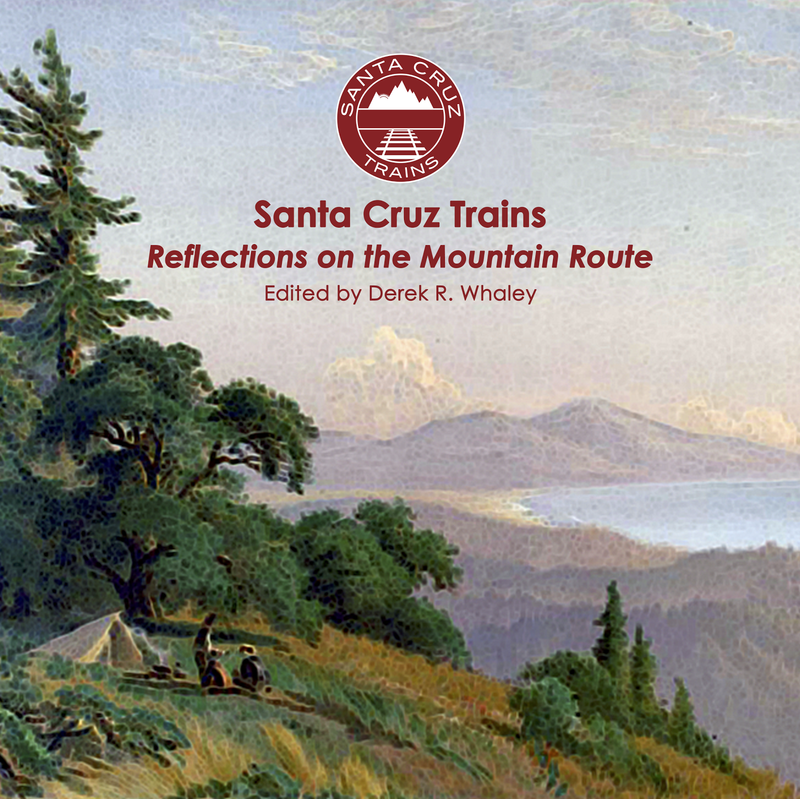 The railroad's presence in Santa Cruz had already been largely a memory. The sugar beet refinery had shut its doors in 1898 and slowly the area became first a lumber yard and then a fruit-packing district. The turntable and engine house remained until 1930, but the locomotives were no longer stored there. Large portions of the right-of-way are still easily and legally accessible to the public. Smudowski Beach State Park's main road, accessible from Giberson Road off of Jensen Road is an entire repurposed stretch of this former track. The track passes through marshland for south of here but then parallels State Route 1 beginning at the Jetty Road junction. Former bridge abutments can be seen beside the highway before Jetty Road and as the highway crosses over Elkhorn Slough at the Sea Harvest Fish Market, and the site of the wharf is now Sandholdt Road, where a wye for the railroad was also located at the station once called "Moss". The right-of-way then, after a brief tangent, parallels Molera Road starting at Monterey Dunes Way, and it continues paralleling this road on the south side as it becomes Nashua Road. Unfortunately, beyond this the right-of-way falls out of the spectrum of this website, however Horace Fabing and Rick Hamman's book Steinbeck Country Narrow Gauge (Boulder, CO: Pruett Publishing, 1985) is an excellent complete telling of this tenacious little railroad's history. Hall, John. "Pajaro Valley Consolidated". PacificNG.org, 2015. Keeton, Garrett J. "Pajaro Valley Consolidated Railroad (Narrow Gage) – Monterey County, California." HistoryHunters.net, 2005. "Pajaro Valley Consolidated Railroad". Monterey County Historical Society, 2010. Robertson, Donald B. Encyclopedia of Western Railroad History. Volume IV: California. Caldwell, ID: Caxton Printers, 1998.